You will Watch One Piece Episode 448 English Dubbed online for free episodes with HQ / high quality. Stream anime One Piece Season 13 Episode 27 Stop Magellan! Ivan-san’s Esoteric Technique Explodes! As Luffy and the escaping prisoners pass through Level 3, Magellan catches up with them. 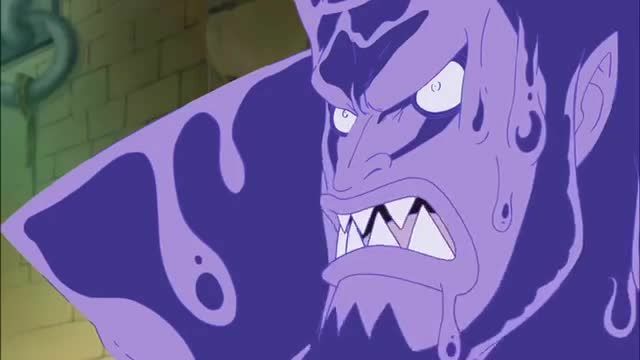 Ivankov and Inazuma stay behind to stall him, but both of them are defeated. Luffy and Jimbei plan to steal a Marine battleship to reach Marineford. Luffy’s group reaches Level 1, meeting the prisoners from Levels 1 and 2 who are following Buggy and Mr 3., and defeating the Demon Guards when they attack again, but Magellan manages to reach them again.